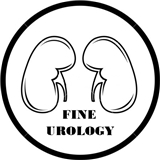 Fine Urology (Miramar) - Book Appointment Online! Always a great :bedside" manner. A pleasure to talk with and always helpful..answers any questions or concerns...verifies facts as speaking. I wish ALL Doctors were this GOOD !! !